Machrie Moor is a peated single malt from the Arran distillery. Bottled at 58.5% at natural cask strength and limited to 9000 bottles, this is the 3rd release in this popular series. Wonderful flavours of vanilla, toffee, citrus, and a little grassy character. Extra strength adds a charred flavour to the peated notes. Aromas (without water) A muscular nose with wood smoke, unmistakeable peat and fresh pineapple. Behind the growl there are more delicate notes of pear and lime. Flavour Spice, Charred Oak, Citrus, Smoke, Chocolate. Types of Barrel used for Aging Not specified, most likely to be drawn mainly from stocks of 1st fill Bourbon barrels. Style Peated, cask strength single malt. 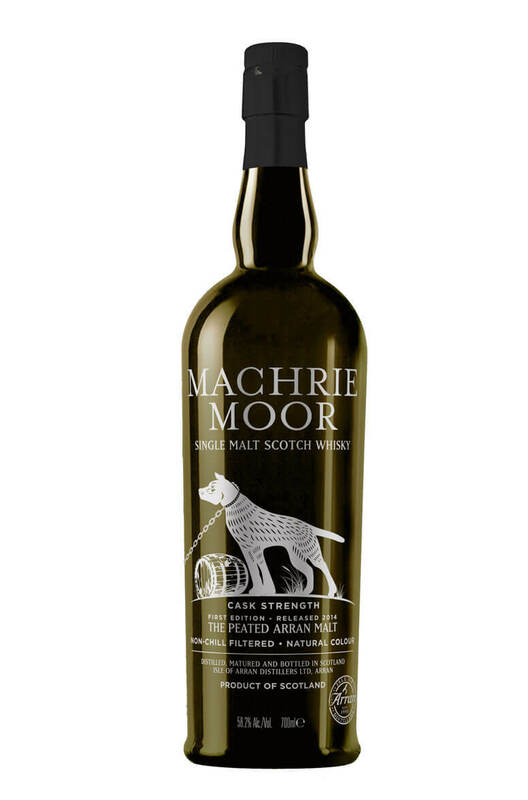 Machrie Moor is Arran's peated single malt and it takes its name from the wild and rugged moor o..